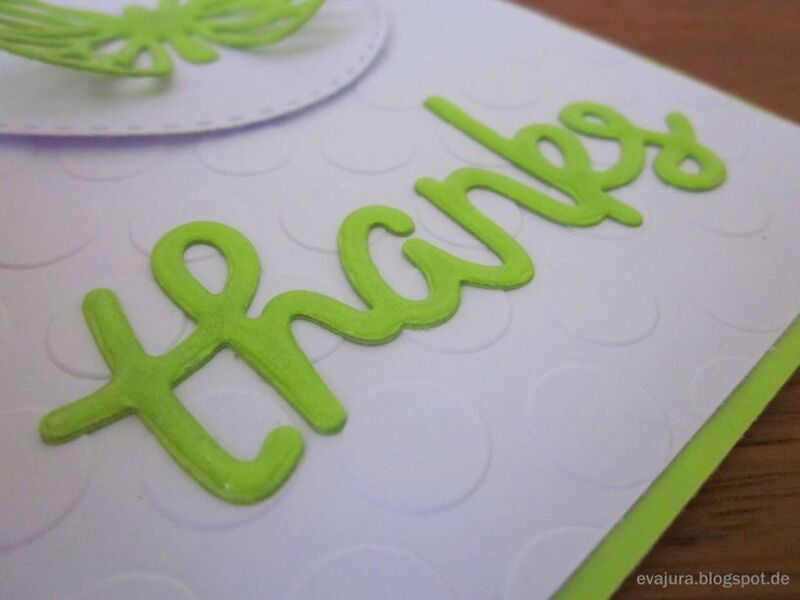 Today, I made a Thank you card. I think, it's actually my first card without any stamping. I used by making this Thank you card just my Big Shot Cutting Machine, some Dies and Embossing Folder. I really like how clean and simple is this card looking. Of course, I couldn't leave this card without my awesome Wink Of Stella Glitter Brush Pen and Glossy Accents that I used on the whole butterfly and the thanks sentiment. 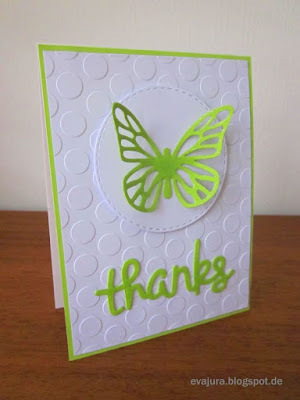 Because this card may be used by many different occasions, for instance to thank our friends just for being here for us, I would like to enter this card by the SSS Challenge Simon Says Friends or Superhero. Dear Nora, I feel the same. Since I was "introduced" to the Wink of Stella and Glossy Accents, I just have to use it on almost all of my cards. Beautiful card! 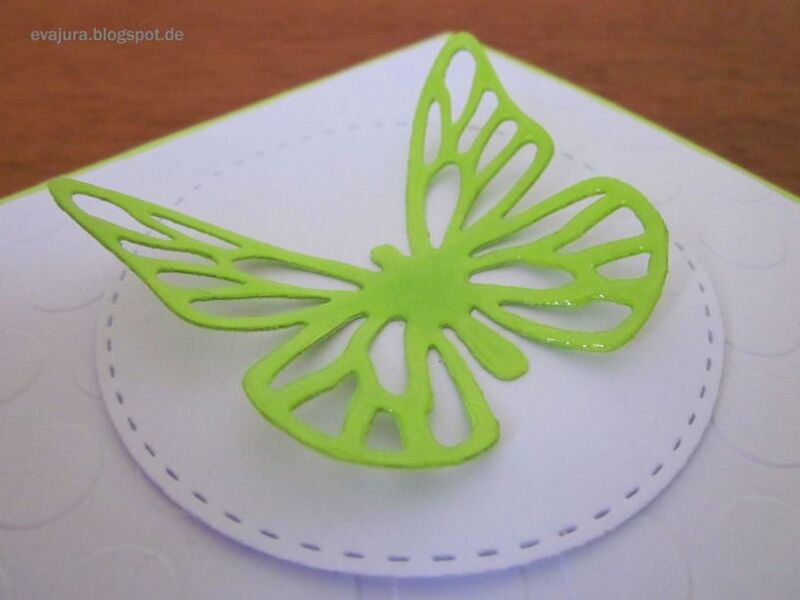 Love the colors and of course that pretty butterfly! Great design! Hi! 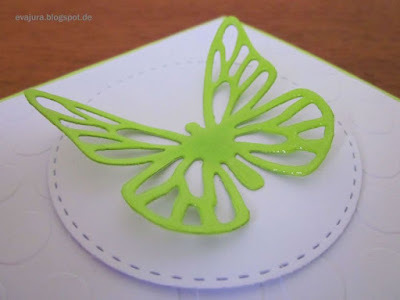 Welcome to my blog about crafting, mainly card making. I'm Eva. I live in Switzerland together with my husband and my lovely cat, but I'm from Czech Republic. I hope, you will have fun by reading my blog and will get some inspiration.